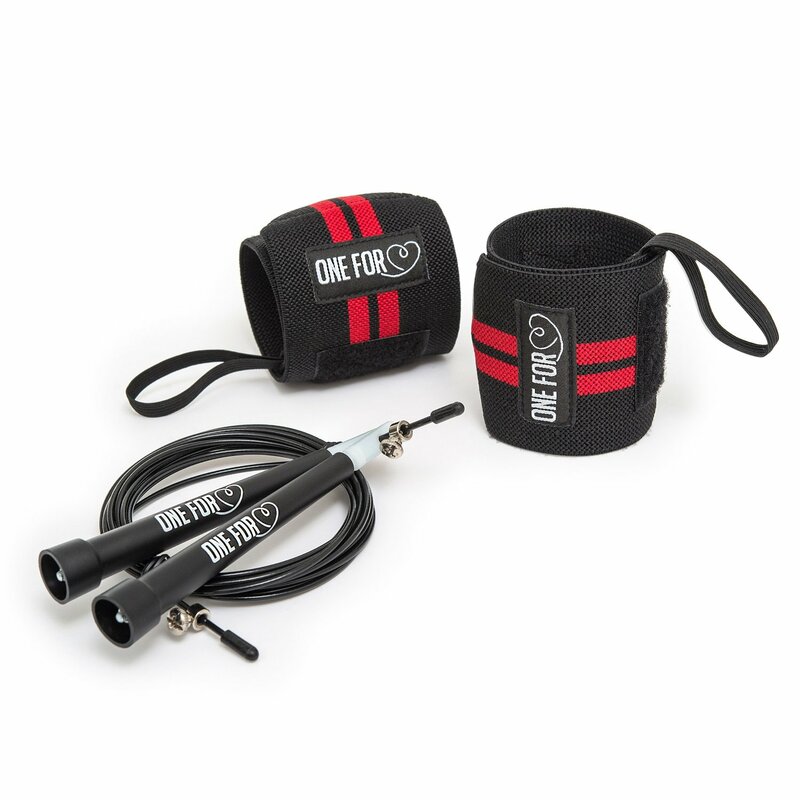 #oneforheart These wrist wraps are really good to keep you from having a wrist injury while working out whether you're doing push ups, pull ups, or weight lifting. They are adjustable and strong enough to stabilize your wrists in any pressure level. They keep you from having wrist pain during and after your workout. The Crossfit Jump Rope is a high speed cable long enough for either men or women. It's great for boxing training, cardio work out, crossfit, etc. This company donates $1 for each purchase to children in need. That's a great cause and a great product.